Tubelite, Inc. announced the promotion of Steve Green to the role of president, effective April 1, 2019. Green will report to Joe Puishys, chief executive officer of Apogee Enterprises, Inc., Tubelite’s parent company. Guided by Green and the company’s executive leadership team, Tubelite continues to be a leading manufacturer and supplier of architectural aluminum storefront, entrance and curtainwall systems in the United States. 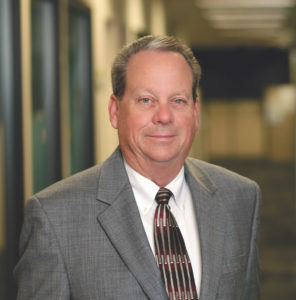 As Tubelite’s president, Green oversees the company’s operations and its facilities in Walker and Reed City, Michigan; Dallas; and Warwick, Rhode Island. “Steve is a key driver and leader of promoting and living the ‘dependable’ brand with our employees and customers. This strategy has been a wonderful roadmap to success year after year,” said Puishys. Tubelite’s corporate office, fabrication, warehouse and shipping operations are located in Walker, Michigan. Its Dallas location provides additional fabrication, warehouse and shipping operations. Its facility in Reed City, Michigan, houses the company’s aluminum extrusion operation. The company also has an office in Warwick, Rhode Island.